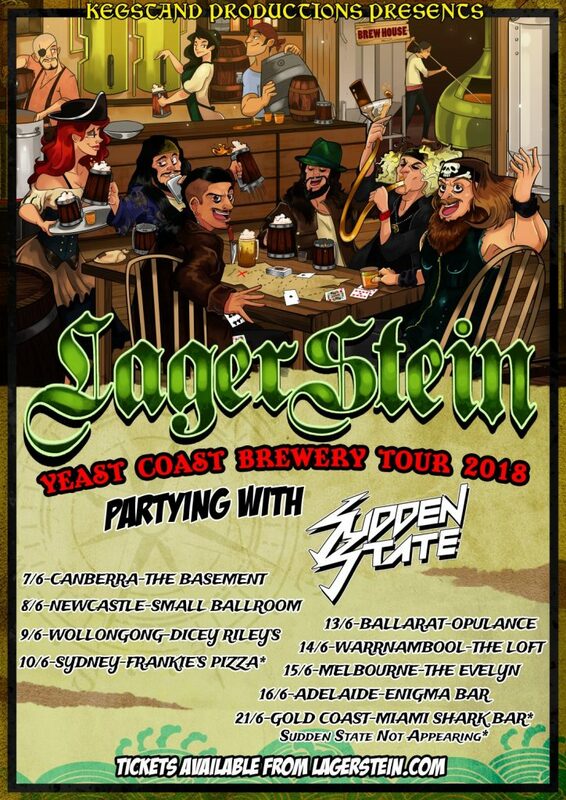 Brisbane’s premier pirate party machine Lagerstein will be kicking off their mammoth 2018/2019 tour calendar with a two-week trek down Australia’s east-coast, with the goal of making stops at a local brewery for each city by day and playing wild, rum-feuled parties by night. The Australian folk metal powerhouse will kick off their tour on June 7th in Canberra at The Basement and will conclude on June 21st at Miami Tavern on the Gold Coast. Along for the ride across are Melbourne’s 80’s-influenced heavy metal maniacs Sudden State, who will be brandishing their retro-meets-modern take on heavy metal at it’s most fun across Australia. Don’t miss out on what will be the most enjoyable, alcoholic and fun-filled tour of the year when Lagerstein and Sudden State hit a town near you!